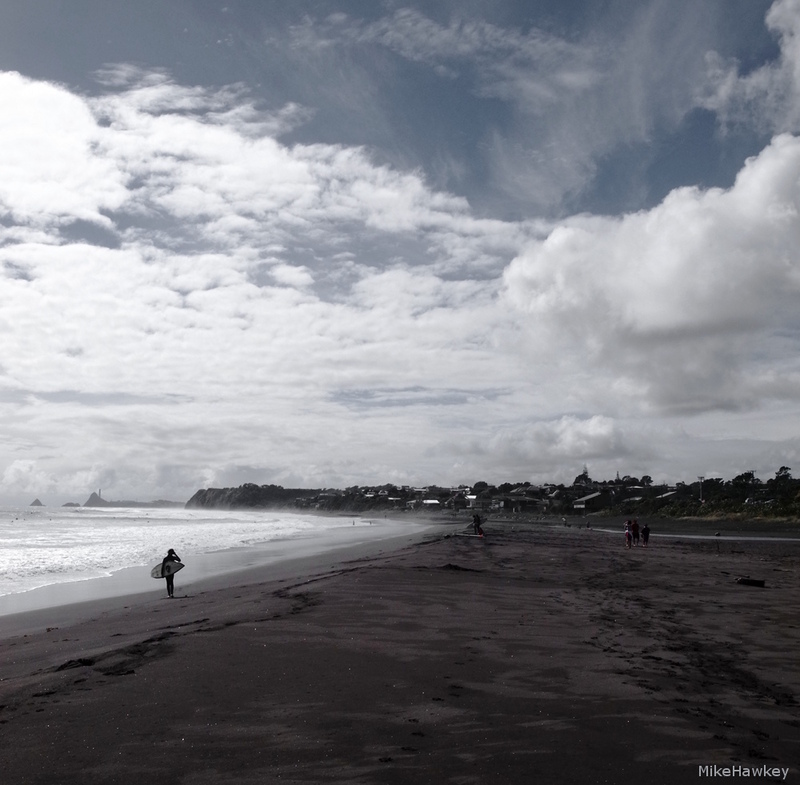 Just to the left of yesterdays image (about 15km down the road actually) lies the seaside surf escape of Oakura Beach. Easter weekend in New Plymouth happened to also have a VW club meet on, so it was quite cool to see a good handful of well kept and restored Kombi van’s parked up along the beach, as their owners surfed (or swam) the waves. Of interesting note, the township was hit by a tornado in 2007. Image wise, I desaturated the blue from the sky and slightly pushed contrast before cropping. All done in Gimp, and shot on the Ricoh.